Scott H. Decker is Foundation Professor of the School of Criminology and Criminal Justice at Arizona State University. 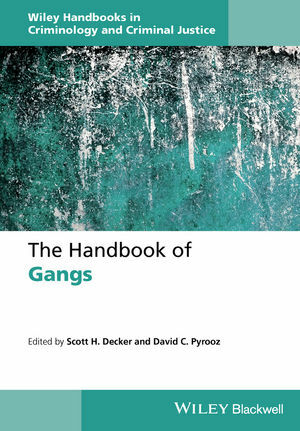 His most recent books include European Street Gangs and Troublesome Youth Groups (edited with Frank Weerman, 2005), Drug Smugglers on Drug Smuggling: Lessons from the Inside (2008), and Criminology and Public Policy: Putting Theory to Work (with Hugh Barlow, 2010). David C. Pyrooz is an Assistant Professor of Sociology at University of Colorado Boulder. He is the author of Confronting Gangs: Crime and Community (with G. David Curry and Scott H. Decker, 2014).